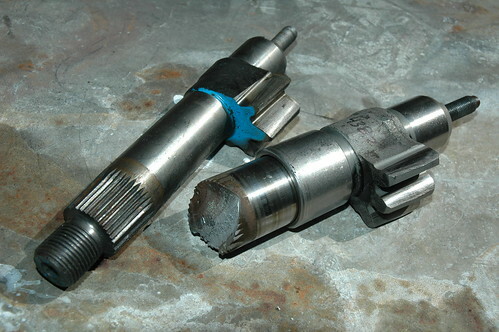 Fords have been notorious for having cracked sector shafts in the steering gear box. If a cracked sector shaft breaks, and they have, you loose all steering. Nice huh? All steel components including the sector shafts are magnafluxed at Lee Power Steering before assembly. In route to the Overland Expo, we stopped at Lee’s in Sun Valley, California. Tom Lee is unquestionably the most qualified expert in the country on all automotive steering systems. Ours was completely rebuilt and engineered for the weight and type of driving we expect to do on our Trans-Eurasian Odyssey and The Silk Road.